Today I have another post with three components, this one related to the theme of Time. 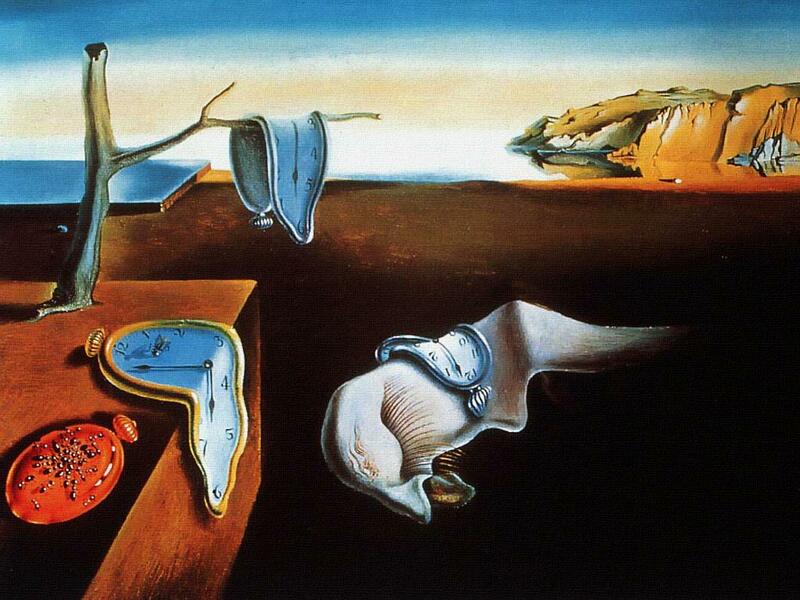 First up is The Persistence of Memory by Salvador Dali, featuring the surrealistic image of soft, melting pocket watches. I love the imagery in this one. The common interpretation is that the soft watches are rejecting the assumption that time is rigid. How to master this quantity? It was only a matter of time (no pun intended) before Pink Floyd showed up on one of my posts. To say I’m a HUGE fan is an understatement. I knew I liked you! See you on the dark side of the moon. I knew I liked you too…see you there! Us and them . . . . Damn! I was gonna use that. You win.